If you've been on our website or popped in to see us in the coach house lately, you may have seen some monochrome baby goodness. 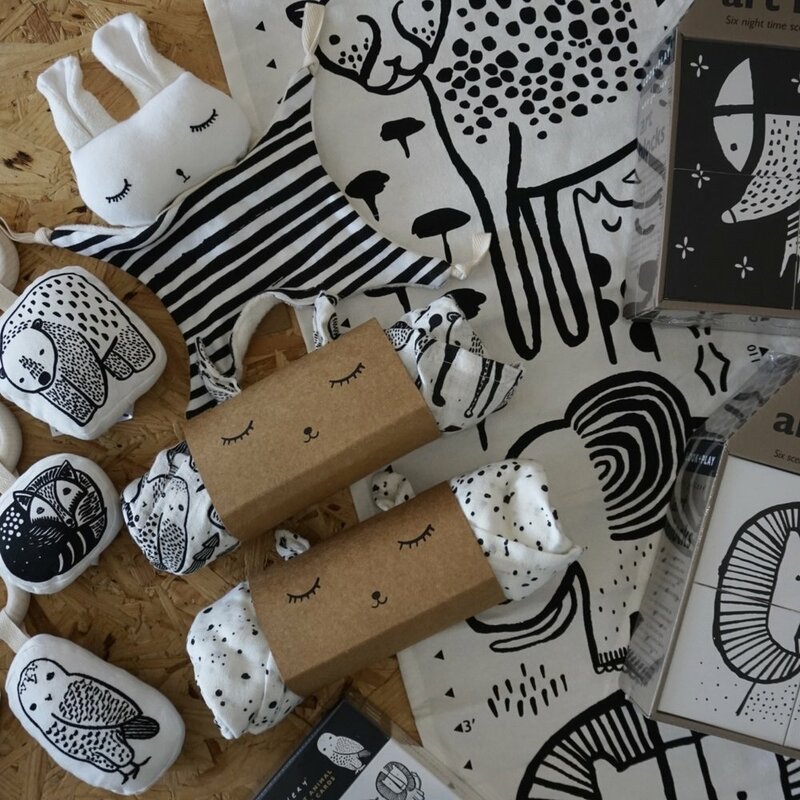 I want to introduce you to a new and incredible independent brand that we are so excited to now be stocking - Wee Gallery. Wee Gallery create beautiful, thoughtful and eco-friendly goodies for little ones and I was so excited to get them on board after having my eye on them for a few years. Wee Gallery was founded by Surya and Dave Pinto. When they had a little one of their own, they learned that newborns can only see 12-15 inches in front of them, and are drawn to black and white patterns as well as their parents' faces. So, Surya, a graphic designer, started drawing to keep her baby entertained, and Wee Gallery was born. High-contrast animal illustrations now feature on a whole range of sustainably produced, organic products. From art blocks to grow charts, rattles to snuggle bunnies and the sweetest muslin swaddle blankets. We fell in love with their latest range at Top Drawer when I went at the start of the year. Now, we've built a selection of our favourite Wee Gallery products and they're all available in the shop or from our website. They make educational and artful gifts for new-borns and older children, with an adult aesthetic that new parents will love. Shop the our full Wee Gallery range here and tag us in photos of the products in their forever homes on Twitter, Facebook or Instagram.